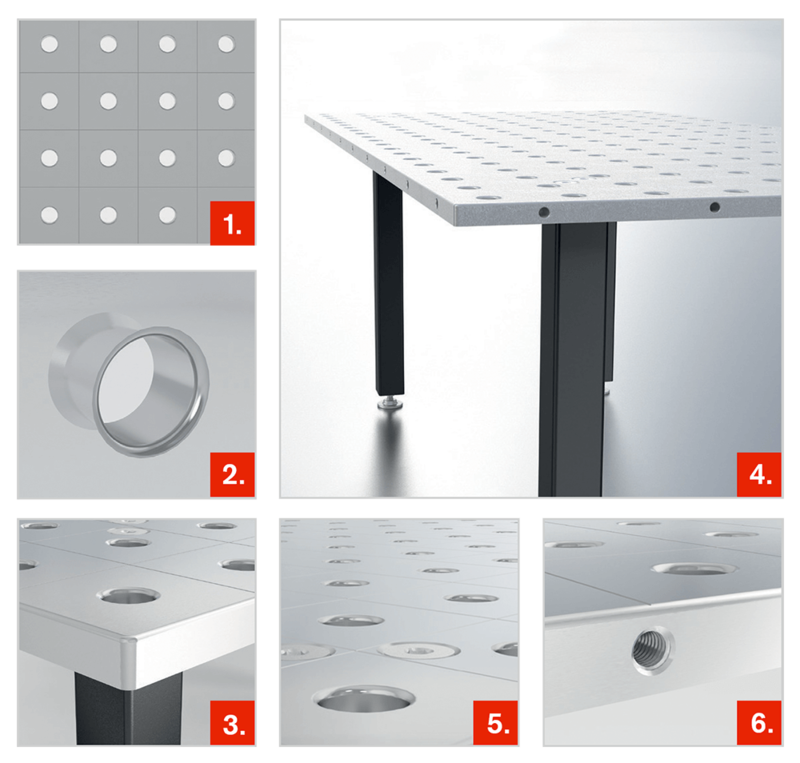 The System 28 "BASIC" Welding Table Series was created with Versatility and Strength in mind. Grid: Grid lines in a distance of 100x100mm (3.96" x 3.96") help you to arrange your accessories. Approximate Table Weight: 2,300 lbs. / 1,043 kg.